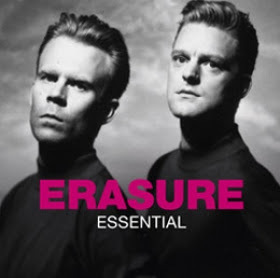 Erasure will release a new best of compilation entitled 'Essential'. The compilation features 16 tracks spanning from 1985 to 2003 including some of their biggest hits such as "Sometimes" and "Who Needs Love (Like That)", but also lacks on some huge ones. 'Essential' is out March 19, 2012 through Lexer Music and available on pre-order. Their brand new single "Fill Us With Fire" is also out this month.